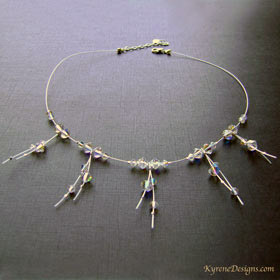 Another stunning glamorous design for all of you who love their Kyrene floating necklaces! 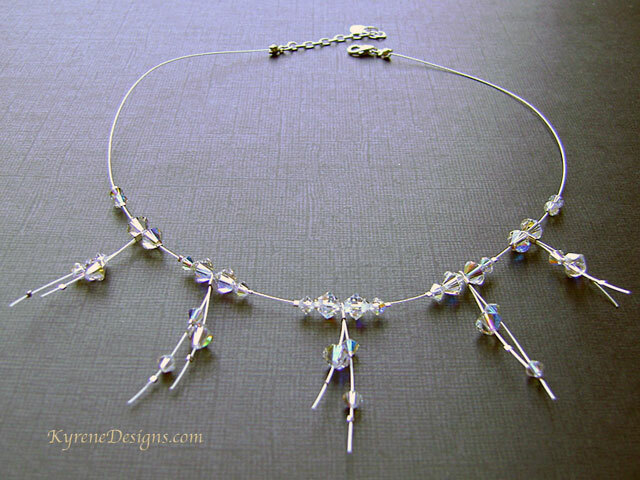 Unusual fringe style 'icicle' necklace made with clear, AB coated CRYSTALLIZEDTM - Swarovski Elements and sterling silver components. Also fabulous for wedding jewellery. Please contact sales@kyrenedesigns.com about commissioning other colours. Length: 17 inches. Sterling silver lobster clasp, plus 2" extender.